Burns’ new documentary series has much merit. Most commendable from my perspective as a historian of the Vietnamese communist experience is the inclusion of references to Le Duan and allusions to his role in precipitating the onset of war with the United States in 1965. Le Duan is a little-known figure in the United States. When Americans think about the leaders of the “other side” in the Vietnam War, Ho Chi Minh invariably comes to mind, as does his trusted military commander, Vo Nguyen Giap. As it turns out, and as I demonstrate in Vietnam’s American War (Cambridge, December 2017) my forthcoming book relating the history of the conflict waged by Hanoi against the United States and its allies in the period 1954-75, Ho and Giap were influential decision-makers only up until 1963. That year, a series of circumstances, including the seminal Battle of Ap Bac expertly described in Episode 2 of the Burns series, prompted a shift in the balance of power in the North Vietnamese capital. The outcome of the shift was the assumption of power by individuals like Le Duan who were significantly more “hawkish” than Ho and his “dovish” colleagues. For years, Ho had maneuvered to avoid provoking the United States into directly intervening in Vietnam. He understood the potentially catastrophic implication of that contingency. And that was why, as we see in Episode 1, Hanoi had trodden so cautiously in the South since the Geneva accords of 1954. That all changed after 1963. That December, Le Duan, a highly dogmatic, battle-hardened former southern revolutionary who now served as Communist Party Secretary, seized the reins of communist power from Ho in what amounted to a palace coup. 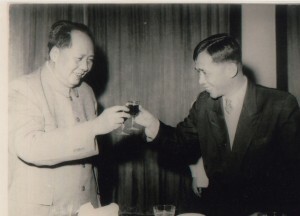 As new paramount leader in Hanoi, Le Duan surrounded himself by trusted comrades, namely, his “war buddies” from his days fighting the French in the deep South during the Indochina War. In Stalinist fashion, he purged from Party ranks known and perceived political and ideological rivals, including Ho and Giap. The two men retained their titles, but lost all influence over policymaking. They also lost their power base in Hanoi. For good measure, Le Duan variously incarcerated, demoted, and forced into exile Ho and Giap’s most loyal disciples inside the Party, the government, and the armed forces. By 1964, Le Duan and the hawks exercised supreme control over domestic and foreign policymaking in North Vietnam. The new communist regime’s bellicosity and, above all, determination to “liberate” the South and bring about national reunification under communist governance at all cost set Hanoi on an irreversible collision course with the United States.